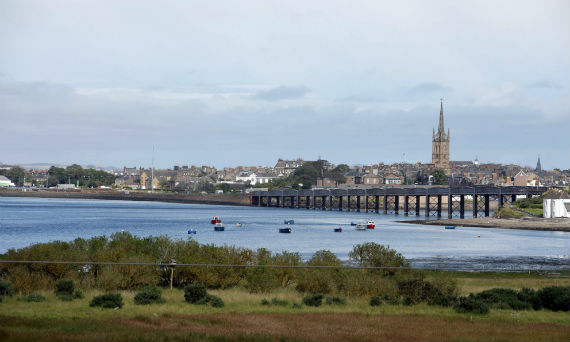 We have been working in Montrose for over a year supporting Neil at the Montrose Osteopathy Clinic. However, as our list has grown we needed to increase our availability and the time had come to move into our own premises. Our Montrose Clinic opened in September 2015 and we are excited to be able to offer the people of Montrose, Laurencekirk, St Cyrus, Brechin and Inverkeilor a first class Osteopathic service. Our clinic is located at 71 Murray Street, the north end of the High Street. The railway station is an 5 minute walk away and a number of buses stop close to the clinic. You can park on the street free for 30 mins and Murray Lane car park is just across the road. The clinic is approximately 15 minutes drive from Brechin and just over 30 minutes from Stonehaven. Contact us today and we'll get back to you to arrange an appointment at the clinic. © Copyright Angus Osteopathic & Sports Injury Clinics. Angus Osteopathic and Sports Injury Clinics is a trading name of Angus Healthcare Limited, registered number SC512110.